Doug Smith is the Chief Technical Officer for Roush Holdings. In this capacity, Mr. Smith is responsible for overseeing the technical soundness of all Roush business units. He will also focus on evaluation of new technologies and trends in the various industries we serve, and directs Roush’s IT and Program Management activities. Mr. Smith is also a member of Roush’s Board of Directors. Mr. Smith’s career at Roush spans more than 25 years. He joined Engine & Control Systems, Inc., (ECS) a predecessor of today’s Roush Industries, in 1981, as manager of the company’s emission laboratories. 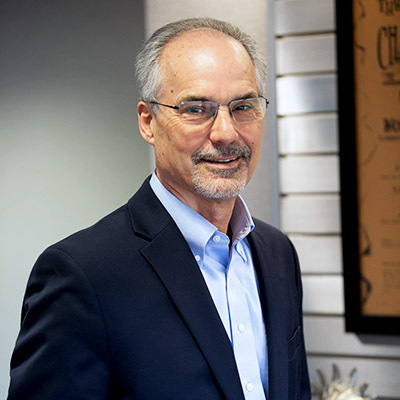 When ECS, Roush Racing, and Jack Roush Performance Engineering merged in 1991 to become Roush Industries, Inc., Mr. Smith became Vice-President of Engineering and was appointed to the Executive Committee. In 1995 Mr. Smith became Executive Vice-President in 1995 and was appointed to Roush’s Board of Directors. He served as President and COO from 2000 through 2017. Mr. Smith attended the University of Michigan, where he was awarded a Bachelor of Science degree in Engineering and a Master of Science degree in Mechanical Engineering. He began his professional career as a Product Engineer for Chrysler. Mr. Smith has been a member of the Society of Automotive Engineers (SAE) since 1980, and is a licensed Professional Engineer.